My husband and I lived up in Dutchess County back in the late 1980s and have lived in Westchester County since 1994. During that time, it is amazing how much better the service has gotten and how much better the stations look. I really do think that you have to be a long time rider to appreciate it. 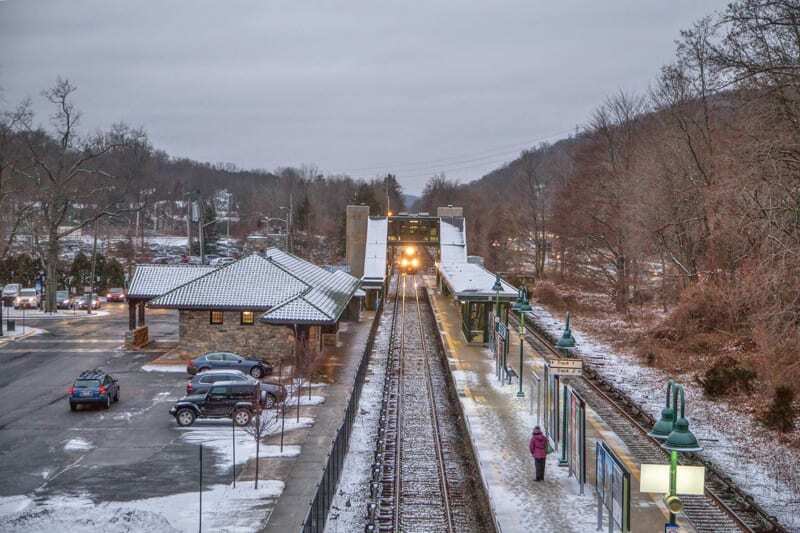 Yeah, 2013 was a pretty awful year and we certainly hope that is not a trend but it really is hard to argue against the facts that the Metro-North line is a vital chain in the region’s economy. One thing you left out is the rise of reverse commutation that has actually fed the suburbs. There is now a small but vital economy that has grown up over the past ten years to shuttle NYC people from the stations in Hawthorne-Valhalla-White Plains to jobs in Westchester. You’re totally right about the reverse commutation thing. I work in Valhalla, actually. The company sends a bus to pick us all up at White Plains, and I have quite a few coworkers that come in from the city. 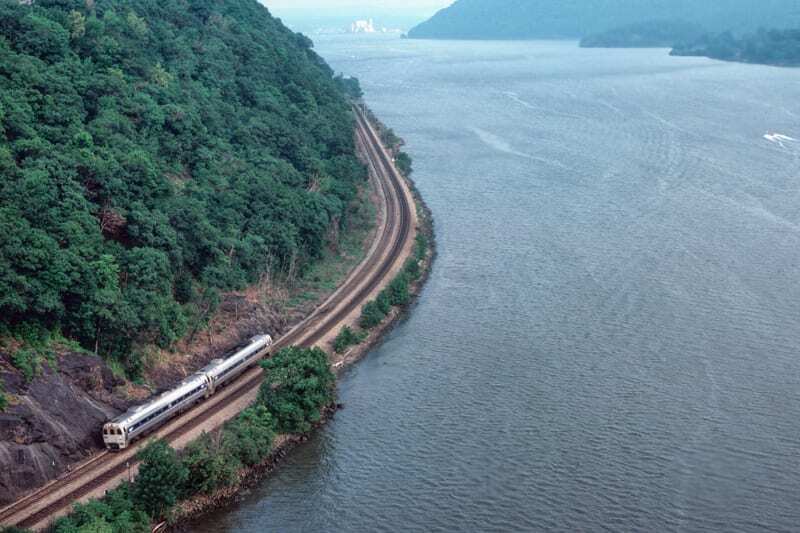 Anyone who thinks Metro-North is “the worst railroad ever” has clearly never been subjected to the tender mercies of SouthEastern, the commuter rail network serving SE London and Kent in the UK. I have, and Metro-North is commuter heaven in comparison. 2014 will be 25 years riding the Harlem for me. Passing through Grand Central every day is a highlight for me. 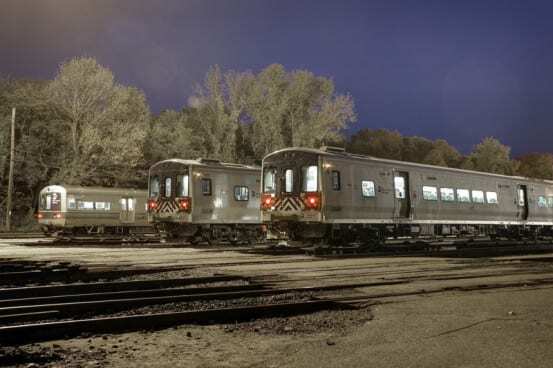 There have been a few bumps in the recent past but Metro North and it’s personnel generally do a difficult job very well year in and year out. Thanks to all. Thank You Emily for posting this. It was really wonderful reading your article and all the folks comments really made my day and lifted my sprits…..
Great story! You’re right, when I started in ’86, Metro North was new and everything else was old. It was like the land that time forgot. This kind of puts it in perspective. Great job, Emily! Your website is certainly one of the coolest railroad websites I’ve found. I recognized you immediately when we first sat opposite each other — you in the foldown seat and me in the conductor’s cab — but I never took the time to congratulate you on the quality (and accuracy) of your site. I retired last year, so chances are I won’t get the opportunity again, but I’d like to add myself to your fan club! Keep on keeping on! Wonderful piece, Emily. Penn Central is my morbid railroad interest of choice, although I’m barely old enough to remember Conrail, let alone PC. History aside, you’re spot on with your comparisons of trains to other modes of transportation. I stopped letting late trains bother me a long time ago! 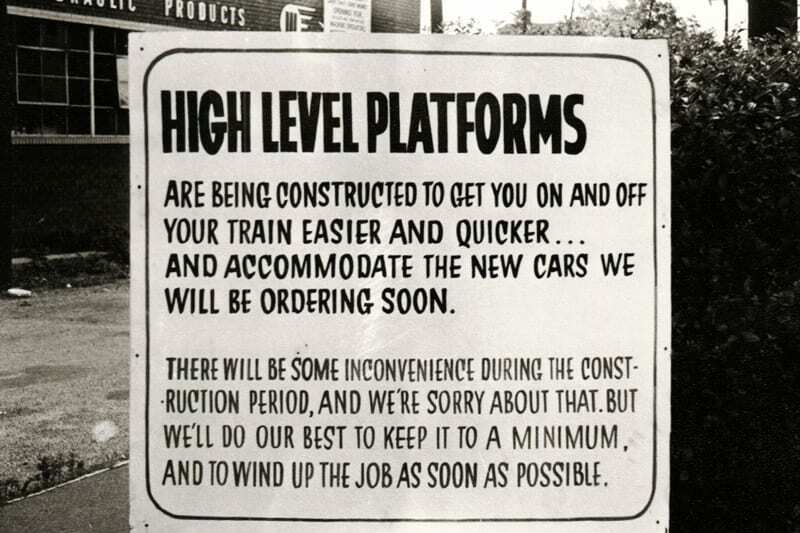 Service quality was poor on the former New York Central and New Haven railroads even prior to the Penn Central merger. 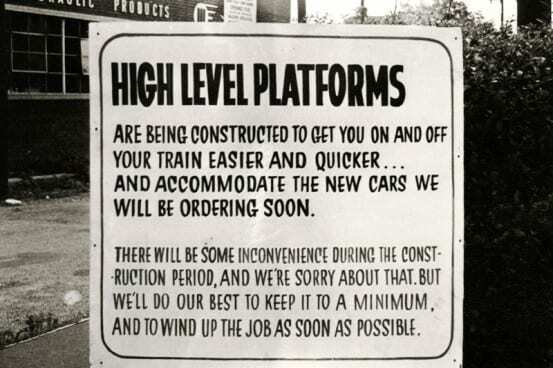 Those companies were losing a great deal of money on commuter service and had nothing to invest to make repairs. Veteran commuters can remember diesel trains operating all the way into Grand Central, with their exhaust fumes wafting through the concourse. 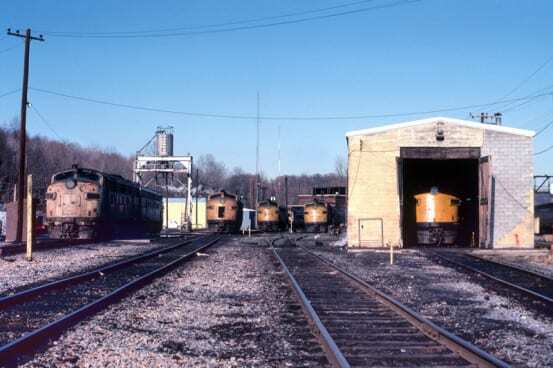 Also, a motley of collection of old cars were acquired from other railroads to keep service running. Grand Central Terminal itself was very run down. 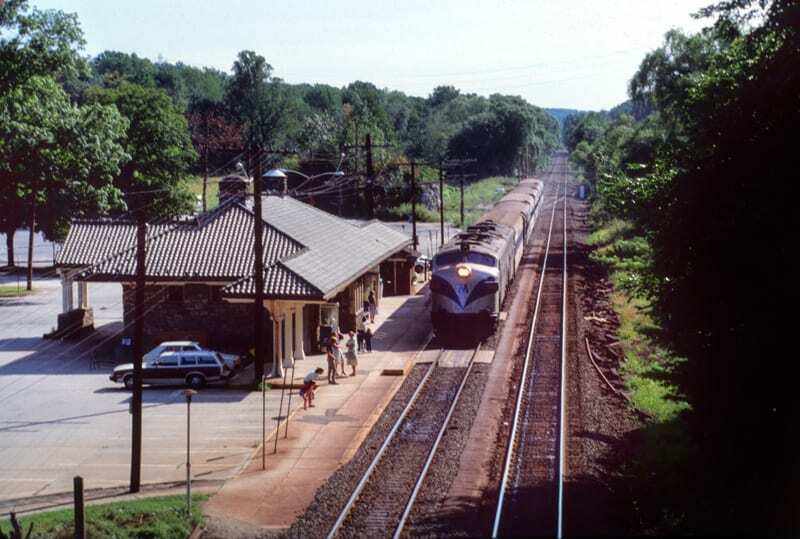 The New Haven line depended on the ancient Cos Cob power plant, which was very unreliable. So, the MTA did indeed do a remarkable job reversing all the decay (as it also did on the Long Island Rail Road). As to the speed restrictions in the wake of the Spuyten Duyvil accident, I hope that only those that are truly needed for safety remain in place, and others, perhaps not really needed, can be removed. MNCR has a severe “good buddies” culture problem (and most of the MTA does too), and until most of the upper management is replaced, or put in their place, nothing is going to change. Getting a new president is a good first step. Any time FRA has to step in just to have proper track inspections performed, or issue an EO to keep engineers focused and prevent speeding, it is a clear sign that the RR hasn’t yet grasped their responsibilities towards their patrons. Looking at the inspection report from the FRA conducted (in May) by the geometry car shows that the problems were more serious than anyone knew, including some sections of track that came up 0 track class (excepted) over which it is ILLEGAL to move occupied trains. The speed restrictions following the SD incident were expected, just a way for MNCR to avoid spending more money making changes to the signal system (as required by the EO) before PTC installation BY 2015 (which we all know isn’t going to happen). All in all it is not good enough to say “we’re better than everyone else” or “it aint as bad as it used to be”, it is far more necessary to focus on working towards being better than things are now (and to fully comply with all federal regulations, of course)! I began my railroad career on Metro North in Grand Central Terminal or as we affectionately called it “GCT”. When I started CTC was still in along with towers A/B/C & U in the terminal. Still in operational were Nick on the Park Ave. viaduct, MO in Mott Haven, DV at Spuyten Duyvil. As far as memory serves towers in Stamford were still manned and the draw bridges along the New Haven Line. The RTC center in GCT was still transforming. One of the biggest projects I worked on was the moving of the signal wires under the 138th street drawbridge as Conrail’s new route to Oak Point was being built and Metro North Highbridge yard was nothing but an over grown weed field. I also worked on the the concrete tie project along the Harlem Division back in the early 1990’s. One morning at Woodlawn the RTC called and he lost control of the interlocking and had requested us to take it on local control. Meaning we would be on the phone with the dispatcher and we would line the routes on the CTC board inside the “CIL” boxes. Simple right, no that failed also so “Plan C” was formed and we had to spend the morning rush hand cranking 85ft super switches via radio with GCT. PX90 has nothing on that! 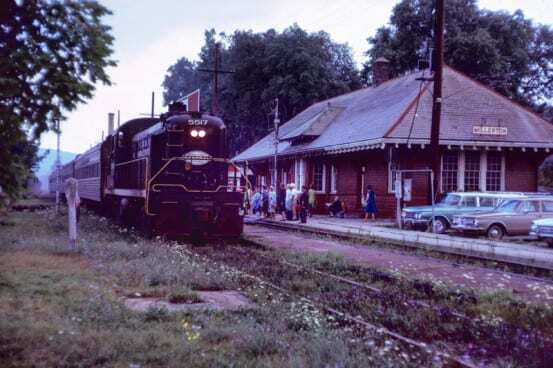 I used to ride the Harlem line in 1969/70 while a student at the Linden Hill School,administered,by the Jewish board of Family and Children services,the school is located in the verdent hills of beautiful Hawthorne,NY,in Westchester,it is also chartered by the NY Board of regents,they set the standards of grades for students to attend these prepatory schools,Linden Hill is both a boarding school,and a day school for residents of westchester county.They do their best to help the students reach their full potential.What ever problems the students have,they have accredited,proffessionals who are there to help.and also the school is accessable by Metro-North train,Harlem line station at,Hawthorne,N.Thanks. 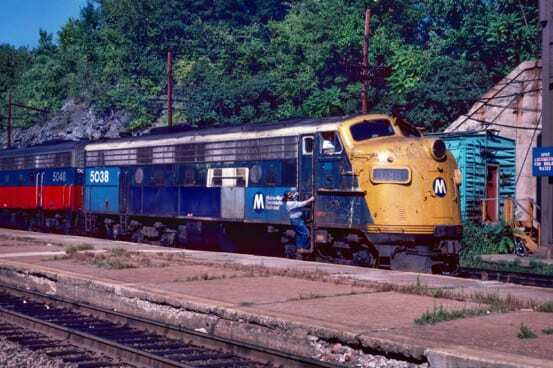 With all this talk about how much better Metro-North is than back in the days of the run-down New York Central, Penn Central, and New Haven Railroads, would it be in bad taste to remind people that I’d like to see some locomotives on the Harlem and Hudson lines painted up like old NYC locomotives, just like the ones on the New Haven Line, are painted up like old New York, New Haven & Hartford locomotives?